Medically known as Myopia, nearsightedness is the most common cause of poor eyesight, particularly in younger adults. The condition is being able to see fine at close range but not at a distance. The ability to focus could begin to decline in childhood and will continue to plunge through the teenage years and often stabilizes in the early 20s. Nearsighted symptoms are usually first notices in the teenage years where a person could experience headaches and could not see distant objects better than they used to. This could become as a shock to a young person. 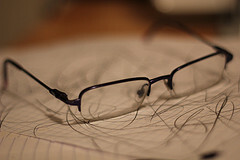 Other nearsighted symptoms include eye strain and squinting. People with this condition may feel the need to squint in order to see clearly and frequent eye rubbing and blinking. A nearsighted person may also tend to hold a book closer to read. Nearsightedness does not worsen fast. However, other illnesses such as diabetes could make this develop faster. This makes it difficult for an adult to notice if the prescription requires changing. To be sure, one has to get regular eye examinations. This poor eye condition could lead to poor school performance and a student’s grades could drop off around the age of ten to twelve if the eyesight is involved.